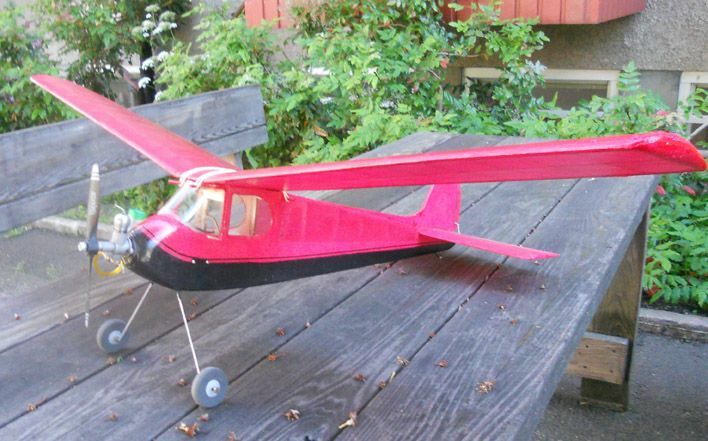 Infant Sportster, a Bill Winter designed 36" span K&B Infant powered sport free flight model circa 1949. 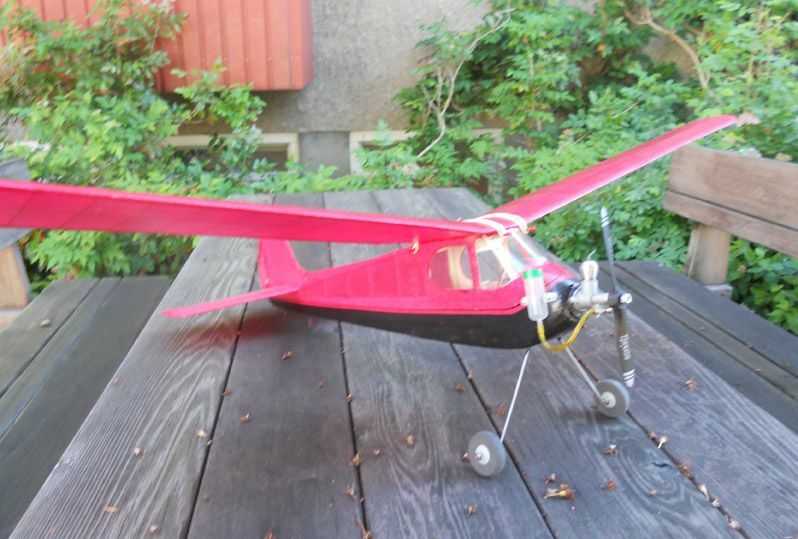 Parts Set includes all shaped balsa and plywood parts, such as formers, wing ribs, bulkheads, tip shapes for wing, fin and tail, fuselage sheet sides, dihedral braces, etc. Add strip to complete. Includes full size plan. Thanks to prolific buidler, Jorgen Daun, Sweden for the photos of his Infant Sportster.